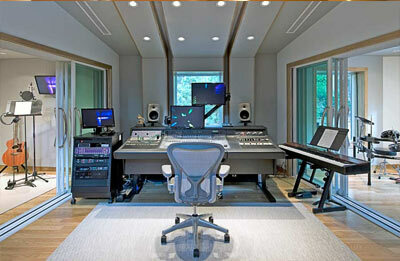 Both professional recording studios and home recording studios can benefit from our soundproofing expertise. All of our StudioMax™ Window and Door products hold world records for their high STC values. Using our breakthrough technologies on soundproofing and specially made laminated glass, we can provide your professional or home recording studio with superior soundproofing at an affordable price. 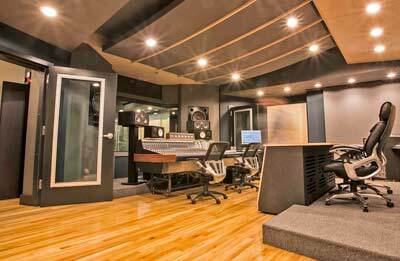 Our recording studio windows and doors help reduce the hard to target low frequency sounds. They have lab tested STCs in the 60s and will match or exceed your current wall STCs. All of our recording studio windows and doors come in standard and custom sizes to fit your specific soundproofing needs. Review the test results and you will see that our low frequency values are even more impressive than our STC results for soundproofing. 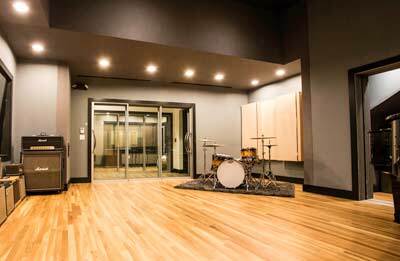 Our recording studio acoustic steel doors have also set new world records for noise abatement. We get an STC of 56 while still maintaining the door industry standard thickness of 1.75”. Standard thickness means we can accommodate any door hardware!